FLOWER ESSENCES ARE . . . liquid, plant preparations, which express a distinct imprint or etheric pattern of a specific flower. They obtain their beneficial powers from the inherent life force within them. A Flower Essence works on the mind, body and spirit, by extracting the healing vibrational quality from the most evolved part of the plant ~ ‘the flower’. Flower Essences work on an emotional level, balancing negative feelings and beliefs that lie in the subconscious mind. Flower Essences function in higher vibrational levels and promote release of unwanted thought patterns, poor mental and emotional habits that create disease and illness, they help rebalance mental clarity and recharge positive emotional energy. Flower Essences work with other therapies, without harmful reactions. The first 38 Flower Remedies were formulated by a British physician, Dr. Edward Bach, in the 1930's. Many new remedies from other plants species are now available. AROMATHERAPY (ESSENTIAL OILS) ARE . . . made from plants or trees. These oils have medicinal-like properties when rubbed on the skin, inhaled, used in steam preparations, as compresses, in baths, or diffused throughout a room. How we respond to an aroma influences our heart rate, blood pressure, breathing, and possibly even our immune system. Your holistic practitioner will show you the ways you can use aromatherapy to relieve stress in a pleasing manner. Aromatherapy has a unique influence on the mind and emotions, which is where the mysterious potency of the art lies. Some aromatherapists practice using oils solely as mood altering substances. Others adopt an intuitive approach to this art, preferring to allow the person to be guided solely by their aroma preference. More often than not, oils which are chosen in this way turn out to be the very ones needed at the time. As the person's physical and emotional state alters, so might their aroma preference. Mind and body are interrelated and whatever affects one will in turn affect the other. Go to the Aromatherapy section of this website to learn more about Aromatherapy and Essential Oils. BACH FLOWER REMEDIES ARE . . . dilutions of flower material that was researched and developed by Edward Bach, who was an English homeopath and physician in the 1930's. Bach Flower Remedies are used for behaviorial, emotional and spiritual conditions that replace negative emotions with positive emotions. Bach Flower Remedies contain a very small amount of flower material in a 50:50 solution of water and brandy. Since the remedies are extremely diluted they do not have the scent or taste of the plant. Bach Flower Remedies are said to have the energetic nature of a specific flower, which in turn is transferred to the person who is taking the remedy. 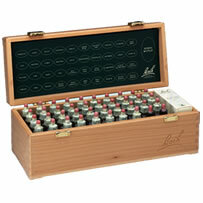 There are 38 Bach Flower Remedies that are separated into 7 emotional groups. Read more about Bach Flower Remedies here! HERBS AND HERBAL PREPARATIONS ARE . . . Herbs have long been considered as food for the body but herbs actually have a wide variety of uses from culinary uses (dill), to medicinal (St. John's Wort), to recreational uses (Cannibis or hemp), to religious uses (Frankincense and Myrrh). Herbs are a valuable source of natural nutrition and contain varying amounts of vitamins and minerals. When used properly, they may have specific healing effects. Even though we know that every plant was put on the earth for a reason, it does not always mean that it was meant for our bodies to ingest, take daily or rub on our skin. Just because poison ivy is a natural plant, does not mean that we eat it, nor do we rub it on our skin. This is exactly why herbs must be researched carefully, studied and taken sporadically. Go to the Herbal Preparations section of this website to learn more about Herbal Preparations or Go to the Herbal section of this website to learn more about individual Herbs. HOMEPATHIC REMEDIES ARE . . . based on a vitalist philosophy. This philosophy interprets disease and sickness as being caused by disturbances in a hypothetical 'vital force' or 'life force'. It is these disturbances in the 'vital force' that manifests themselves in unique set of symptoms. Homeopathic remedies are based on symptoms, which is why you will often times see a product named after its symptoms. Homeopathy treats patients with heavily diluted preparations that are thought to cause effects similar to the symptoms that are presented. Homeopathy was developed by German physician Samuel Hahnemann in 1796. 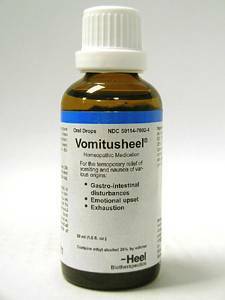 These homeopathic preparations are serially diluted with shaking ("succussing") after each step assuming that this will increase the effect of the treatment. This dilution often continues until none of the original substance remains. Homeopathy maintains that the vital force has the ability to react and adapt to internal and external causes, which homeopaths refer to as the "law of susceptibility". The law of susceptibility states that a negative state of mind can attract hypothetical disease entities called "miasms" to invade the body and produce symptoms of diseases. However, Hahnemann rejected the notion of a disease as a separate thing or invading entity and insisted that it was always part of the "living whole". Dr. Hahnemann observed from his experiments with Cinchona Bark, which is used as a treatment for malaria, that the effects from ingesting the bark were similar to the symptoms of malaria. He interpreted that the cure comes through similarity and that treatments must be able to produce symptoms in healthy individuals similar to those of the disease being treated. Through continued experiments with other substances, he reasoned the "Law of Similars", which is widely known as "like cures like". This is the basic healing principle behind homeopathy. Dr. Hahneman believed that by causing a disease through use of drugs, the artificial symptoms empowered the 'vital force' of 'life force' in the body to neutralize and get rid of the disease.